Love the Ginger Gang, Mimi! 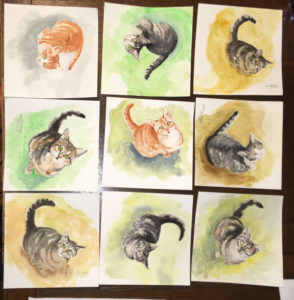 Dear Mimi, as a cat lover, let me say, “This painting is a delight!” I don’t think it’s possible for a cat to appear ungraceful and you’ve captured them at their best. Peace. That’s a wonder work of art!